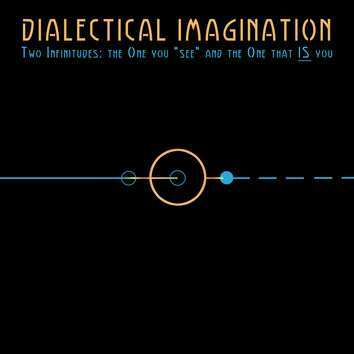 Dialectical Imagination; Two Infinitudes; The One You "see" and the One That Is You. Dialectical Imagination is Eli Wallace (piano) and Rob Pumpelly (drums). Two Infinitudes is their debut CD on Leo Records. They have successfully codified a musical system that integrates key elements from some of the most rarified and enigmatic music on the planet. Echoes of Alice Coltrane, Masahiko Togashi, Cecil Taylor, Edward Vesala, Milford Graves and even Oliver Messiaen and Karlheinz Stockhausen can be heard in the four tracks of this new recording. Two Infinitudes is a truly unique offering carefully crafted to guide the listener right out of their body on an ecstatic flight from the alone to the Alone. This is authentic and unapologetic spiritual music for the 21st century, joyfully challenging and creatively inspiring.